MSU BILLINGS NEWS SERVICES — As Petro and Rimrock Halls open their doors to welcome residents to a new year at Montana State University Billings, faculty, staff, and community volunteers will be on hand to help them move into their rooms. The event called Movers and Shakers is an intentional way to welcome students to campus and the Billings community. 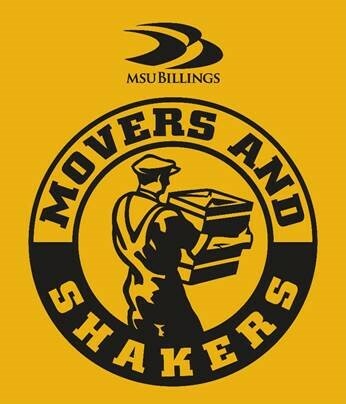 Movers and Shakers is a chance to help students and families move into the residence halls, on Sunday, September 2. An institutional goal of MSUB is to support both students and the community and Like said making introductions at Movers and Shakers will likely help build relationships and begin the school year on a positive note. While participants will not be able to wear clothing or pass out information about their organization, they will have the value of being able to discuss their organization with students and parents, as well as provide a business card with contact information. Volunteers will be able to register for several 3-hour shifts. Please register by 5p.m., August 31. If you need a t-shirt, please register by August 14 to guarantee your size. Volunteers will receive an email one week before move-in with guidelines and other information regarding Movers and Shakers. Refreshments will be provided. Visit Movers and Shakers Sign Up to register to volunteer. For more information contact Aaron Like, associate dean of student engagement at 406-657-2376 or aaron.like@msubillings.edu.